Services for Jacquelyne Independence "Jackie" Schroeder, of Casper, WY, will be held at 1:30 PM on Friday, April 26 at Our Saviour’s Lutheran Church. Pastor Brenda Frelsi will officiate. An informal gathering of friends and family will follow in the church vestibule, with a private family burial immediately after at Highland Cemetery, where she will be interred with her husband. Jackie passed away peacefully on March 25, 2019 at Meadow Wind Assisted Living. She was 89 years old. Jackie was born July 4, 1929 in Fargo, ND to Erick and Ethel (Melting) Wickman. She was raised in St. Paul, MN. Jackie’s mom, the daughter of Norwegian immigrants, and her dad, a Swedish immigrant, passed away early in her life. Jackie was always proud of the fact that she was born on the 4th of July and that her parents gave her a very unique middle name in honor of Independence Day. Jackie graduated from Johnson High School in St. Paul, MN. She would meet the “love of her live” Raymond “Ray” while they were both attending the University of Minnesota. They married on June 16, 1951 at Arlington Hills Lutheran Church in St. Paul. Jackie worked for many years at the Minnesota Historical Society. In 1975, Jackie and Ray moved from St. Paul to Casper, WY to open and operate Team Electronics, a specialty electronics store (now Team Networks) until retiring in 1994. Jackie traveled a great deal - in early years with the entire family - in later years with Ray. She enjoyed many motor home trips (and winters) in the Southwest. She and Ray also traveled by train throughout North America and by plane to many tropical locales. 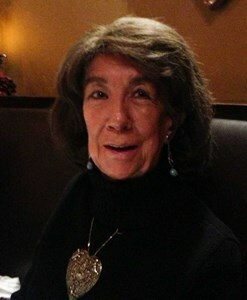 Jackie loved spending time at their second home in Jackson, WY, enjoying many wonderful WY adventures. She liked to cook, sew, and read. She enjoyed theatre, symphony, and her Bridge Club. She was a devoted wife, mother, and grandmother. She loved WY but forever missed MN. Jackie was a member of Casper Country Club, Casper Boat Club, and Casper Petroleum Club. Jackie was also a member of Arlington Hills Lutheran Church in St. Paul and later Our Saviour’s Lutheran Church in Casper. Memorials may be made to Jason's Friends Foundation, 340 West B Street, Casper, WY 82601, in Jackie’s memory. To leave a special message for her family, please click on "Share Memories". Add your memories to the guest book of Jacquelyne Schroeder.